A panel of Judges assembled by the Producers will score North Star Puppy & Handler contestants. Each contestant will be judged on a 300 point system over six (6) categories. 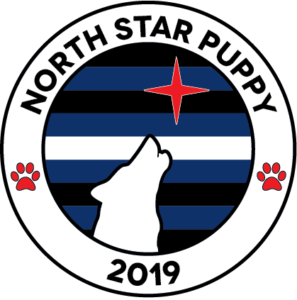 After the points from all categories have been totaled, the Contestant in each Contest with the highest point total will be declared North Star Puppy or North Star Handler. In case of a tie, the Head Judge will determine the Titleholder. If no Contestant in either or both Contests earns a minimum 70% of the available points (210 points), there will be no Titleholder declared in that Contest. The Producers and their staff do not have any authority to override any judge’s decision. The Head Judge is in charge of the judging panel and, while they may consult the Producers, has final say in all decisions of the panel. Olympic scoring will be used for each portion of the contest with the lowest and highest Judges’ marks being removed from each contestant’s total score for that portion. In the event of a tie, these removed scores will be reinstated. Each individual Contestant will meet with the judging panel to answer the Judges’ questions about the Contestant’s interest in the puppy and handler lifestyle, its history, and their interaction with the community and willingness and ability to represent the title. Hoods may be brought, but not worn during the interview. The interviews will be conducted privately with only the contestant, Judges, Tallymasters, and photographer in attendance. Interviews will be no longer than ten (10) minutes in length. Each Contestant will be judged on a series of five (5) tricks they will perform with a Puppy or Handler Assistant using verbal or hand signal commands. The contestant will be responsible for providing their own Puppy or Handler Assistant for this portion of the contest. If the Contestant’s Assistant is another Contestant, they may be each other’s Assistant, but each must present separately during this portion of the contest. Three (3) of the tricks to be performed will be standard Dog Show Tricks chosen from the following: sit, stay, heel, roll over, play dead, shake. The Contestant will draw their three tricks randomly when contestant numbers are drawn. The other two (2) tricks will be determined by the contestant and should showcase their unique personality in the puppy and handler dynamic. These tricks may be included in, but should be distinct from the Playful Presentation. Each Contestant will be asked an onstage question provided by the contest staff or Judges. The Contestants will not know what these questions are before they are onstage. They will be judged on how well they form a response to the question and how that response is received by the audience. The contestant is encouraged to spend the contest weekend expressing their puppy and handler side through the image they represent. The judges will give one score for this category following the Pup Up Questions on Saturday night. Remember, it’s not about what you wear, but how you wear it. The Contestants will prepare beforehand and deliver a speech during the event. This speech can be on any topic the Contestant wishes, but must be recited from memory and not read. The judges will award points on both speech content as well as speech delivery. The speech should be no longer than two (2) minutes in length. Each speech will be timed; the microphone will be shut off two (2) minutes after the contestant speaks their first word. Each individual contestant will perform a talent or scene for the audience. This portion is intended to be a fun and entertaining. Criteria will include uniqueness of talent, entertainment quality, audience engagement, and should showcase their their unique personality in the puppy and handler dynamic. As with the Dog Show Presentation, if the Contestant’s Assistant is another Contestant, they may be in each other’s Playful Presentation, but each must present their own Playful Presentation during this portion of the contest. Contestants may be on stage solo or with Assistants they provide. The onstage talent/scene presentation shall be no longer than five (5) minutes. Each presentation will be timed; the stage lights and sound will be shut off five (5) minutes after the Contestant’s presentation begins. Stage dimensions will be provided prior to the contest, but there will be no time available to practice on the actual stage.